Many of the pieces of furniture created by Australian product designer Brodie Neill look like simple curves, scrolls and folds, but are actually feats of engineering mastery. 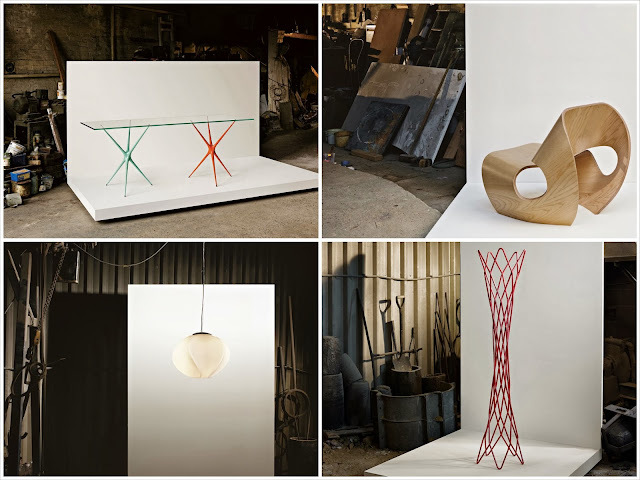 His beautiful forms of chairs and tables etc combine digital design with a handmade element. 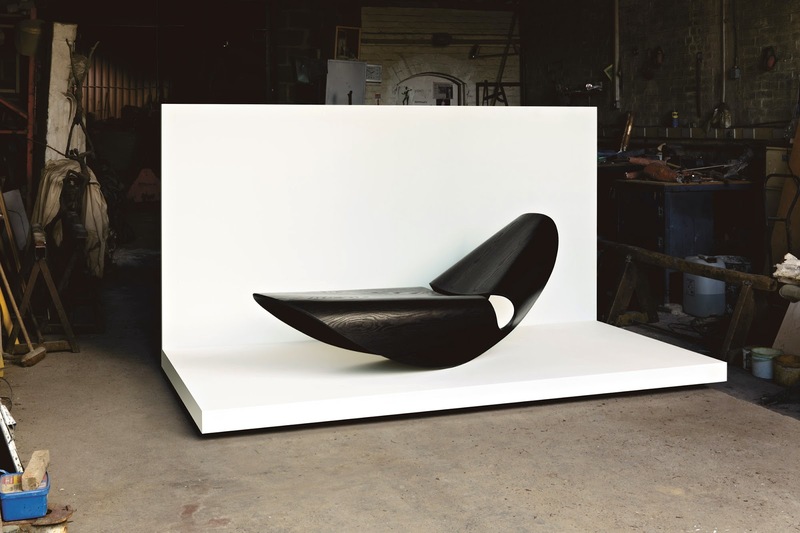 This blending of technique with a characteristic sleek shape is perfected in the smooth black Cowrie Rocker, a sculptural chaise moulded from plywood. Neill, was originally trained in Tasmania, but has been based in London for the past 10 years and exhibited last month at London Design Week in a show that was part of Design Junction. His latest collection is call Made In Ratio and includes Cowrie Rocker, Matrix Coatstand, Cowrie Chair, Super Nova Table and Cumulus Light, all below.